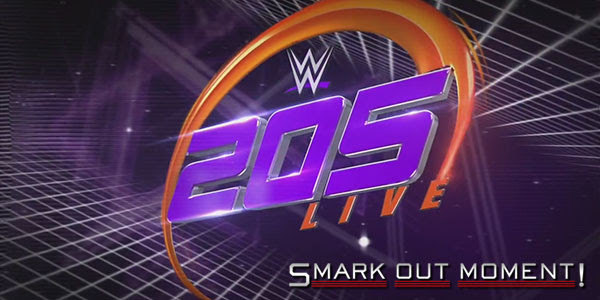 Tonight's episode of WWE 205 Live for June 6, 2017 is coming to you live from the Blue Cross Arena in Rochester, NY. Follow along here for ongoing coverage of the results of the show to find out what happens as things occur and chat with fellow WWE fans in the comments below! VIDEO PACKAGE: A hype video about TJP is shown, recapping his history so far in WWE. INTERVIEW: Dasha Fuentes asks TJP about his title match later. TJP says he's doing this for himself and Neville brought him in to solve the Austin Aries problem. Now, Neville has a TJP problem. MATCH: Mustafa Ali defeats Louie Valle by pinfall even after Drew Gulak tries to cause a distraction. Gulak points out that Ali proved him right by winning the match while staying grounded. Ali flips over the ropes onto Gulak to shut him up. VIDEO PACKAGE: Hey kids, it's Rich Swann. He's a guy. BACKSTAGE: Titus O'Neil interrupts Rich Swann and Akira Tozawa, who are talking in the locker room. He asks "Towaza" as he calls him at first to join the Titus Brand and says for him to think about it and to get back to him. CRUISERWEIGHT CHAMPIONSHIP MATCH: Neville (c) defeats TJP via submission to retain the title.